New Arrivals at High Lickbarrow. The late Michael Bottomly bequeathed High Lickbarrow Farm near Windermere to the National Trust in 2015. It has 50 h of 'unimproved' land grazed by cattle only. Much of the land is designated as a Site of Special Scientific Interest, (SSSI) as wild flowers grow abundantly under this regime and the herb rich grass lands attract a plethora of insects, butterflies and birds. One of the steeper fields is red to purple hued in Summer owing to the sheer numbers of betony growing there. The farm is home to a herd of rare cattle...The Scoutbeck Herd... known as Albion*. White Dairy Shorthorn, Welsh Black, and British Fresian cattle are thought to have been used in the original breeding of the Blue Albion in Staffordshire and Derbyshire. The breed became official in 1921 when The Blue Albion Cattle Society was formed. Tragically the foot and mouth epidemic of 1967 led to the extinction of the Blue Albion breed owing to a Nationwide culling programme to get the disease under control. Since then attempts have been made to reconstitute the breed, now known simply as Albion*. 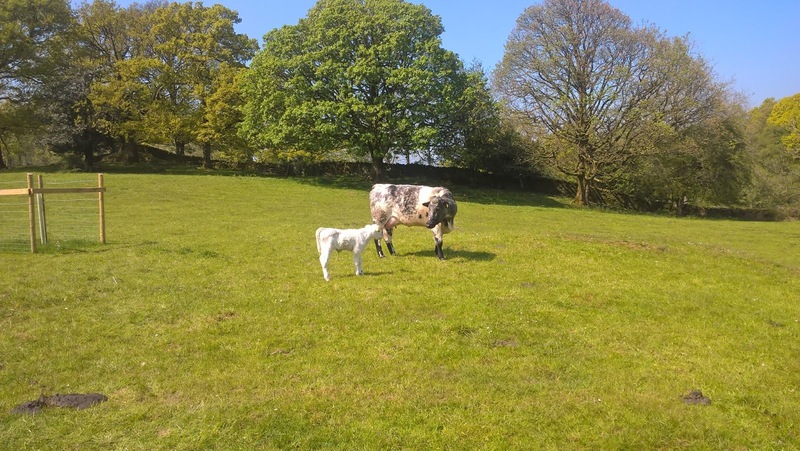 The Rare Breeds Survival Trust (RBST) are being petitioned to classify Albion cattle as a rare breed. This will ensure their status as critically endangered and will lend support for their future as a bona fide breed. 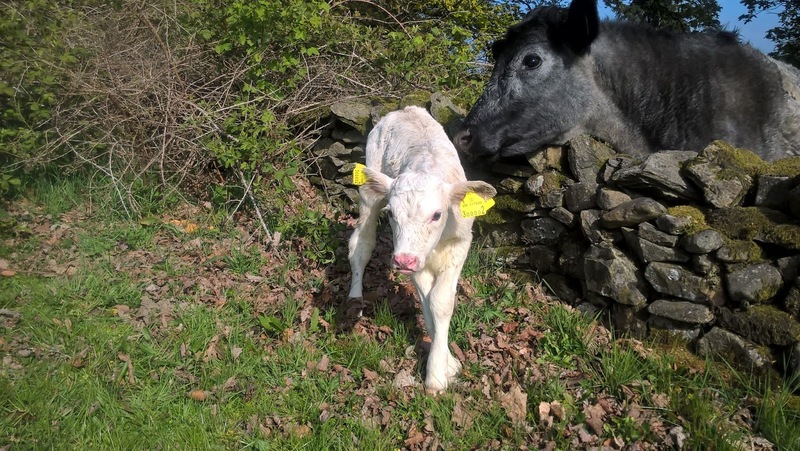 This Albion heifer was born at High Lickbarrow on the evening of the 9th of May so in this image she is barely a day old! She has the distinction of being first in the line for the new herd mark that now exists for the National Trust making her number *****01! This heifer was born shortly after and so was beaten by a short head by number*****01 making her the second in the line with the number *****02! 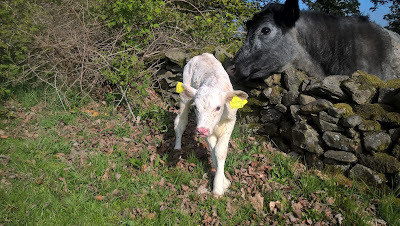 Here she is being kept an eye on by her protective mum! 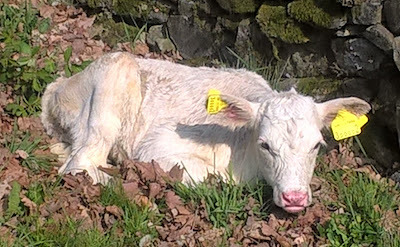 Another fifteen calves are expected to arrive within the next few days!